'Fairy Dawn'. ( Elizabeth Scheffy, R. 1953). SIB, height 24" (61 cm), Early bloom. Color Class-W4, Standards white, Falls same flushed pinkish. 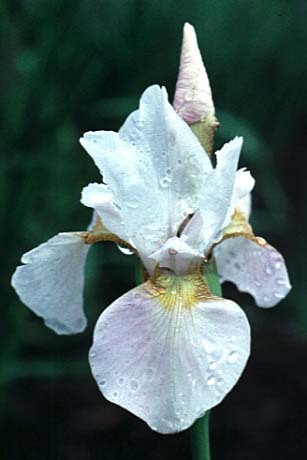 Old white "sibirica type" with slight pinkish cast X unknown.